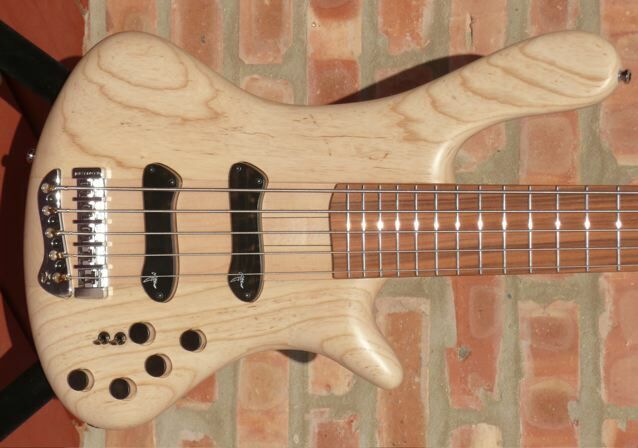 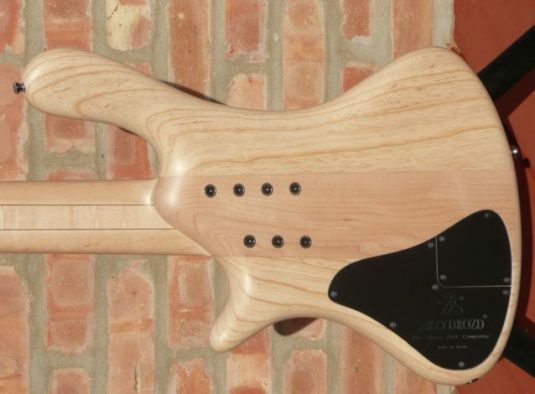 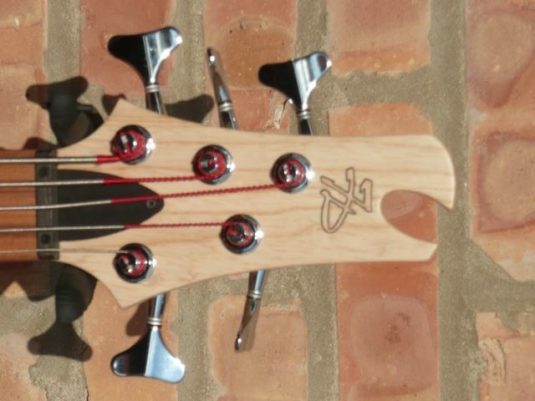 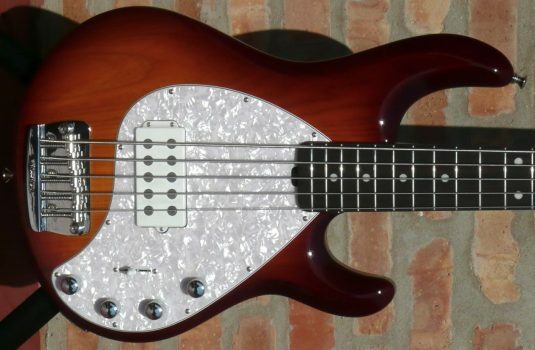 This Basic has a body consisting of Ash wings with a Make center block – Jerzy feels that there is a better connection of the neck to Maple rather than to Swamp Ash. 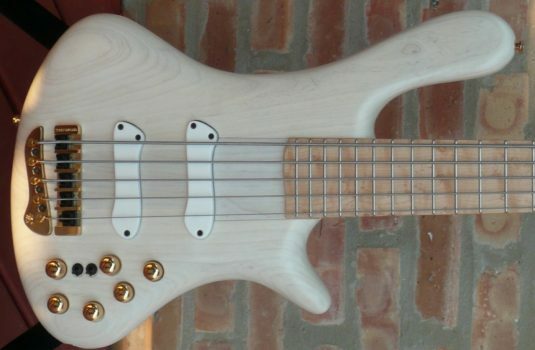 The bass sounds great – I’ll take his word on this. 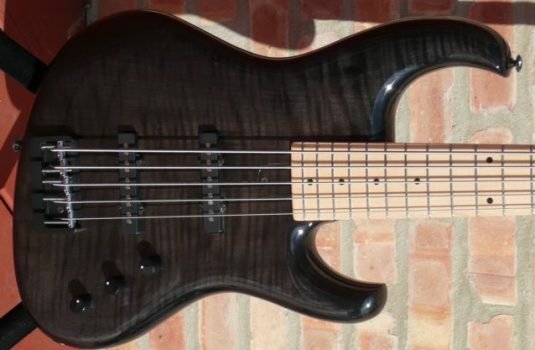 The 34″ scale neck plays like butter, and the Pau ferro fretboard has more bite than I would expect from a Rosewood type FB. Again, dual JeDXS split coil pickups and an Aguilar OBP-3, this time with mid select switch and active / passive switch.